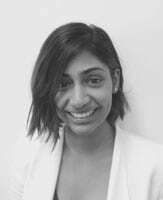 Ms Shanthosh is a public health law researcher and PhD candidate at the University of Sydney, supported by the Prevention Centre and The George Institute for Global Health. With a background in children’s law and human rights, she is most passionate about using the law to shape healthy, more equitable environments, especially for vulnerable populations. In June 2012, Jan represented Australia at the United Nations Committee on the Rights of the Child Review of Australia. Born in Zimbabwe, Jan has spent much of her life in various parts of Australia and the world. She says her upbringing has inspired her to be a proactive and assertive public health advocate. Please describe your role in one or two sentences: I am a Prevention Centre PhD scholar working in the Health Economics Program at The George Institute led by Professor Stephen Jan. I’m developing research tools that policy makers and researchers can use to identify deficiencies in existing public health law and to inform the design of legislative reform. The best part of my role is … being exposed to new ideas and new ways of thinking in solving problems – a function of being surrounded by intelligent, curious and creative minds. The most challenging part is … dealing with the sheer complexity of how evolving social and economic contexts influence populations and their health. I’m interested in the work of the Prevention Centre … it recognises that debates about health too often centre on treating illness, rather than engineering systems to address core determinants – income, inequality, housing, transport and education. Before my current position, my most memorable role was … writing legal advices for children and young people. It opened my eyes to the idea that poorly designed policy can institutionalise disadvantage, particularly for the most vulnerable members of our society. Most people don’t know that … although now a proud Sydney girl, I grew up bouncing around different parts of Australia and the world. When I’m not working, I most enjoy … weekends spent away from the city in semi-rural Sydney. I try to stay healthy by … walking to work and practising yoga throughout the week.